Microsoft held its E3 conference on Monday, June 15, revealing a multitude of new first- and third-party games and new technology and support for the Xbox One console. Major points of the presser included new game debuts and an October 27, 2015 release date for Halo 5: Guardians, the announcement that Fallout 4 mods created via PC will be accessible and shared on the Xbox One, and early 2016 and late 2016 release dates for Dark Souls 3 and Gears of War 4, respectively. 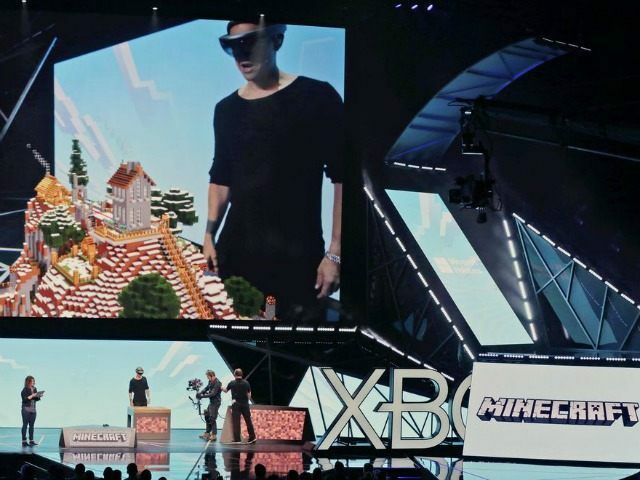 Microsoft’s HoloLens was also unveiled, a virtual reality device that renders video game worlds in real life through the use of holograms. Racing game Forza Motorsport 6 will be released September 15, 2015, battle arena shooter Gigantic will start its beta in August, and action-adventure game Rise of the Tomb Raider was showcased with a November 10, 2015 release date set. Coalition Games announced a graphically-enhanced Gears of War: Ultimate Edition remastering of the original Gears of War and announced the opening of a public beta. Indie games Tacoma, Beyond Eyes, and IP Ion were showcased as Xbox One and PC games; Ashen and Cuphead will only be for the Xbox One. Mega Man and Metroid Prime developers’ new game ReCore was also revealed. A 30-game Rare Replay package containing classic games like Battletoads, Banjo Kazooie, Perfect Dark, and Conker’s Bad Fur Day will be released August 4, 2015 at $29.99. The company also announced the open-world multiplayer pirate game Sea of Thieves. Microsoft also announced backwards compatibility for Xbox 360 games starting this holiday season. The new Xbox One Elite controller was also showcased, and the Xbox Game Preview, which allows players to play demo versions of games still in development without contributing money, was also featured.